The federal government’s $15 million investment in canola research through Growing Forward 2 combined with the canola industry’s contribution of $5 million is funding 23 research projects for five years. Here are short descriptions and early progress reports for agronomy projects on that list, organized into the four strategic plan categories. Final results are still a few years away. ences germination, stand establishment, days to flowering and yield. Purpose: To compare canola emergence, yield and quality when several canola seed sizes are seeded at two seeding rates using new hybrid cultivars. Progress: Field experiments were successfully conducted at nine locations in 2013. 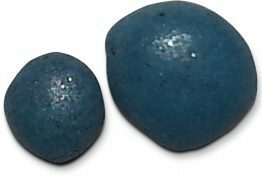 Seed size effects on canola emergence, yield or seed quality were not significant. Increasing seed size had a positive linear association with early canola biomass and 1,000-seed weights, whereas days to flowering and days to the end of flowering had a negative linear association with seed size. Purpose: To select for canola genotypes with better tolerance to heat and drought stresses, focusing on root traits, the critical period of sensitivity to heat stress and the critical temperatures causing flower abortion. ment. Seeding rate significantly affected stand establishment, final yields, number of branches, pods per plant and number of seeds per pod. Purpose: The overall goal of this project is to gain a better understanding of how canola will fit into existing cropping systems in Eastern Canada or areas of Western Canada that include soybean and corn in their rotations. Progress: Three years into a four-year study, results suggest continuous crop rotations yield lower than non-continuous rotations. In other rotations (excluding continuous canola), canola didn’t show any significant effect on the yields for following crops, and preceding crops didn’t show any significant effect on canola yields. Purpose: To assess management zones for variable application of nitrogen (N) fertilizer based on analyzed soil test data, yield maps, and landform and soil properties. Remote sensing data will be combined with analysis of elevation and landform attributes to assess yield response in these zones. Progress: Three sites in Alberta, one in Saskatchewan and three in Manitoba were carried out according to protocol. Purpose: To assess the level of technical efficiency of a sample of Western Canadian canola producers and examine whether adoption of environmental stewardship practices has any effect on these efficiency levels. Progress: Model results (which were significantly influenced by moisture problems in 2011) indicate that best management practice (BMP) variables for soil tests, nutrient management planning and precision farming are positively related to technical efficiency. Purpose: This project builds on prior identification of diverse clubroot resistance (CR) sources and focuses on characterizing CR genes in the resistance genotypes identified in order to provide the industry with new sources of resistance. Progress: AAFC Saskatoon, University of Alberta and University of Manitoba laboratories have identified three CR genes, evaluated a three-way cross involving a clubroot resistant rutabaga line and two spring canola lines in field plots, and mapped eight loci from different B. rapa materials. Purpose: To further understand this host-pathogen interaction for knowledge-based management of clubroot in canola. Progress: A method for the genetic transformation of the clubroot pathogen (P. brassicae) has been developed, which is substantial because it enables scientists to apply many modern molecular techniques to the study of this pathogen. This will speed up research and help researchers to better understand the biology of the clubroot pathosystem, by providing insights into the ways in which P. brassicae can infect its host and cause disease. 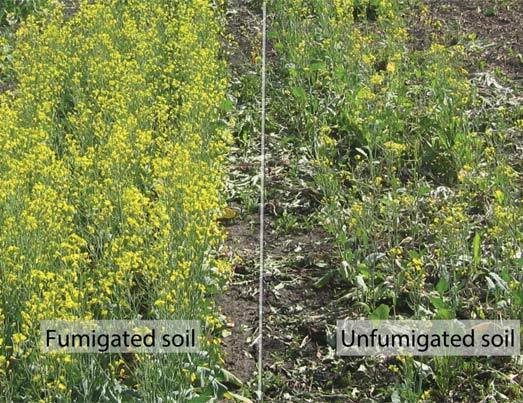 Early results from research by Sheau-Fang Hwang with Alberta Agriculture and Rural Development demonstrate that soil fumigation with Vapam at 1,000 L/ha (left) does show a benefit in clubroot-infested soil. on pathogen population dynamics and of rotations on clubroot incidence and severity. 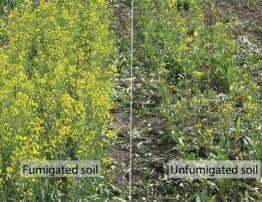 It will also evaluate the effectiveness of soil fumigants on localized clubroot infestations, improve clubroot sanitation protocols, and maintain a consortium field nursery to assess host resistance and conduct experimental trials. Progress: Clubroot fumigation techniques were explored and, based on preliminary results, will likely contribute to new or improved processes and practices over the course of this project. Purpose: To provide critical informa-tion on the nature and extent of the clubroot outbreak in Canadian canola as part of a sustainable clubroot management strategy. Progress: In 2013, clubroot surveillance activities revealed 118 new cases of the disease in central and southern Alberta. That same year, additional surveys by county and municipal personnel identified another 300 new records of the disease for a total of 418 clubroot-infested fields. Clubroot survey results are posted to the Canola Council of Canada (CCC) website clubroot.ca directly after they are generated. Purpose: Develop pheromone-based action thresholds for swede midge in canola and investigate the optimal plant growth stage for insecticide applications. of a preliminary pheromone-based action threshold in 2014. Purpose: To determine the extent of the newly discovered host-parasitoid associations of the diamondback moth and D. insulare on the Prairies. This will include surveying, conducting genetic analysis and investigating sources of annual diamondback moth re-establish-ment in Western Canada. It will also involve clarifying cues used by D. insulare and diamondback moth in host-seeking and host acceptance, and developing models to predict the responses of both insects to irregular patterns of global climatic change. Progress: This project just began in 2014, instead of 2013 as planned. a 24-hour period. This is from a canola field south of Winnipeg on July 31, 2014. The research is to develop models for forecasting canola growth staging, sclerotinia stem rot risk and yield. 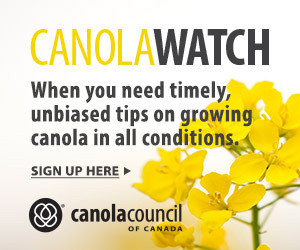 Purpose: To determine if the risks of growing canola more frequently in rotations can be mitigated by growing different canola cultivars in alternating years or growing mixtures of canola cultivars within a given year selected (Phase 1); or by utilising agronomic inputs such as specialized seed treatment, higher macro- and micro-nutrient applications, higher seeding rates and chaff removal, alone and in combination (in Phase 2). Progress to date: Phase 1 found that yield was lower, and that root maggot damage and blackleg incidence and severity were higher in continuous canola rotation than rotations including wheat and field peas. 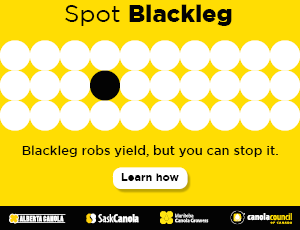 Purpose: To develop models for forecasting (on a near real-time basis) canola growth staging, sclerotinia stem rot risk and canola yield for growers and industry. Progress: Due to the late project approval, a comprehensive literature review and a canola web platform were developed instead of fieldwork. This year, 12 evaluation sites were established throughout Manitoba and intensive observations of growth stages, sclerotinia stem rot, yield, and weather data were collected for use in model development. Purpose: This study has two objectives. (1) To determine how much farm-gate canola carbon footprint has decreased from 1990 to 2010 and why. (2) To determine the greenhouse gas intensity for canola production using best management practices in a high yield, high input region. Progress: Objective 1: A life cycle assessment of Western Canadian canola crop production for 1990 versus 2010 was completed (MacWilliam et al 2014), showing that the environmental profile of canola production per tonne has improved due to increased yield and plant biomass from enhanced genetics, adoption of herbicide tolerant and hybrid canola, and improved crop production practices. Objective 2: The field scale experiment at Lacombe, AB requires two more years to complete field work and an additional year to summarize and write up the report. Purpose: To generate knowledge of factors influencing biology of the two new pests in canola. Progress: A laboratory colony of swede midge has been established for future use. A survey of swede midge damage was carried out in eastern Saskatchewan and pheromone traps were monitored populations at 20 locations in three provinces. An aster yellows disease survey was also carried out in Saskatchewan, in addition to conducting assessments of aster yellows incidence in the B. napus germplasm nursery, and work on economic thresholds. Purpose of Study: To assess the feasibility of bag storage systems under Canadian Prairie conditions by quantifying the changes in canola seed quality during bag storage. Progress: Preliminary results show that canola seeds with eight percent moisture content or less can be stored in silo bags for 10 months, canola at 10 percent moisture can be stored for seven months without any quality deterioration and seed at 12 percent moisture only maintained its grade if unloaded before the ground thaws.